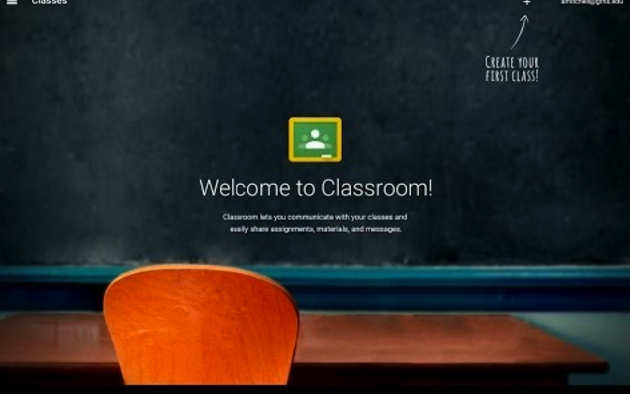 Over the last few weeks, Google Classroom has added a number of interesting features geared towards enhancing its overall functionality across different devices and platforms. For those of you who have missed any of these new releases below is a quick run-down of some of the main features that were recently added to Classroom. Click on the title of each feature to access more information on how to use it. The two main updates that were released for Classroom on iPad and Android are: the ability to save a post (e.g an assignment, question or announcement) as a draft and schedule it for a later posting; and the ability to re-use existing materials (e.g assignments or questions) from previous or actual posts. Additionally, for teachers and students using Classroom on Android, they are now able to see new notifications in the form of a red circle right in the Classroom menu. Click the title of the work to see any instructions or feedback. (Optional) To filter your work by class, at the top of the Work page, click All Classes and select a class. The work for the class you selected is listed. (Optional) To add a class comment, click Add class comment, enter your comment, and click Post. If a comment is already posted, click number class comments to see comments by your classmates or post your own comment. (Optional) To send your teacher a private comment, click Add private comment, enter your comment, and clickPost.